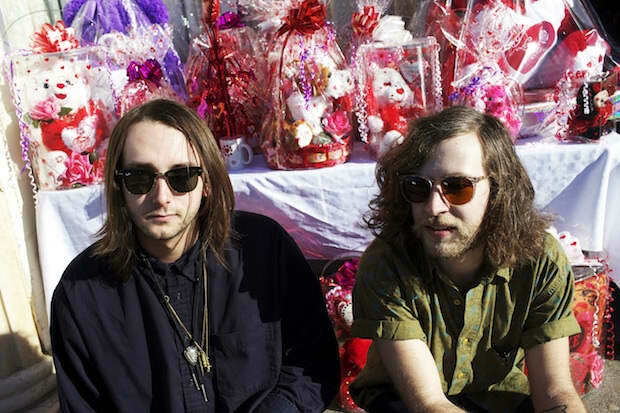 Wampire, the Portland duo of Rocky Tinder and Eric Phipps, recorded "Spirit Forest" with Unknown Mortal Orchestra bassist Jacob Portrait. It's hooky from start to finish, with enough of a funk backbone to sound pleasantly off-kilter. Listening to the wavering of an individual synth tone, or the way the organ melody temporarily steps out of key, you get the sense that these guys just have a lot of little sneaky ideas up their sleeves. Curiosity is out May 14th via Polyvinyl.